Sometimes the posts just write themselves. Thank God for that. Thank God for the Free Speech that would otherwise not be afforded to me in any other country. Free Speech Sir David doesn’t want to hear but that just delineates the need for such. If someone locally, won’t say it, I will. If not me then who? If not now, then when? There were 2 different articles in the Mullet Wrapper this weekend that basically hit on the same points. 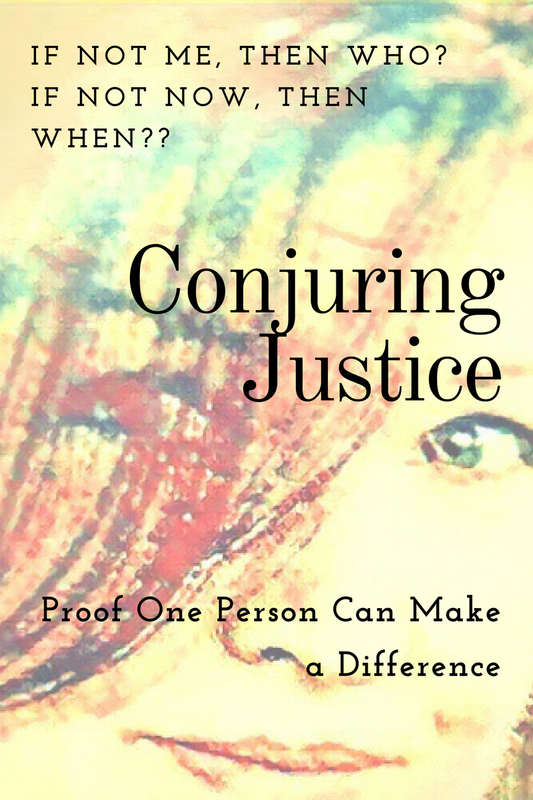 The first is by my fave writer, Emma Kennedy, “Reopened death row, juvenile justice cases strain system” & the second, by my other fave writer at the Mullet Wrapper, Kevin Robinson, “Escambia County leads state in charging juveniles as adults”. First thing that comes to mind is that office has been pushing juveniles into adult sentences at a far higher rate than the rest of the state, which is pointed out in the second article, by Robinson. Scott McCoy of the Southern Poverty Law Center, (SPLC) points out that these kids are being pushed into the adult system only to get probation. If the crimes are not severe enough to actually result in jail time, why shouldn’t they stay in the juvenile justice system which would allow them the chance to not be labeled within the adult system? This seems to be a case of not liking that option because it isn’t seen as punitive enough (in NW FL), for Mr. Eddins or at least his perception of what his constituents wants? Over the last few weeks, I have become more acquainted with what passes for “a case” by the State Attorney’s office. Ron Clark Ball, John Powell, Pat Gonzalez, Gary Sumner were just a few who have been escorted in front of cameras and called criminals but when the evidence is laid to bear…..our court system (and by extension the judiciary that allows them to play “law”) were the through-backs on the short bus in law school. What are you thinking, Bill Eddins, when you allow a personal vendetta of one of the legal elite firms to rope you into a RICO case, where there is perjured testimony, charges galore that end up being dropped because they are just that charges…not actual crimes committed. The bill on that case will cost the taxpayers millions. What about the letting whomever, assist the Assistant State Attorneys in the grand jury room, when Fla Statutes say they must have a J.D. after their name? Greg Marcille surely knows that. What about letting a Sheriff shake GRAND JURORS hands telling them, “I’ve done my job; now it’s time for you to do yours”? This is a directive to people personally to indict. How many people have been deprived a fair trial for that. Screwing with Grand Juries , YEAR AFTER YEAR, seems to me that will cost the taxpayers BILLIONS WITH A “B”. This is a case where people who are in charge shouldn’t be. Their decisions result in inequities on the people they were sworn to represent and protect. I am talking about CRIMES OF MORALITY THAT LET THE REAL CRIMINALS OUT WHILE PUTTING THE INNOCENT IN JAIL. Please, as always, don’t just take my word for this. Go to Flcourts.gov, or FDLE.gov. The statistics of what is actually going on. The problem is these men, Eddins, Morgan are stewards of the county and they don’t play fair. Consequently, in the appellate stage, other courts look at their non-sense and kicks back the badly handled cases. That is an error that is coming to fruition while these men are still in office. Typically, this sort of thing hits the following administration or comes back to haunt the subsequent terms of politicians; however, the glut for power has kept them in office long enough to see the spoils of their injustices. It is a no-brainer that if you have to pay for a job to be done and then redone because of it was inadequate, it costs more money. Doing the job twice due to shortcuts like not having the properly composed grand jury, pushing kids into an adult system for no reason other than perceived political capital, letting other officials subject court cases to retrial for inappropriate contact, all these things COST THE TAXPAYERS MONEY & on top of it, having to doing out punitive damages for ruining people’s lives COSTS EVEN MORE. Corruption can arise in virtually any area of local government activity, and will leave distinct traces according to the area -law enforcement, land-use regulation, purchasing, or tax assessment. It is possible to put together a diagnostic check list that will indicate possible corruption in a particular area. Have there been any cases tried in recent history of corruption? Statistically, there are going to be people involved in the moving parts of government trying to make money by cutting corners. 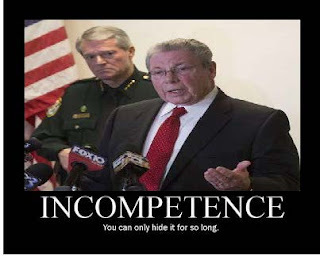 Lack of this implies there are things not being caught which indicates incompetence or there are things overlooked indicating bigger corruption. Either way, the fact is something has to change for the county to retain its liquidity. Is there a high turnover in agency personnel? This indicates a systemic internal problem that cost taxpayers money and allows for corruption to flourish in the internal dissension. swimming instructor for a park with no pool? This indicates the fulfilling of political favors for off the book gains ie corruption. rather than higher ups? This indicates incompetence in not investigating about the street-level soldiers in a more organized criminal enterprise. Is there an effective independent investigative agency to hear complaints of official misconduct? This is a check and balance approach to keep everybody honest. "Some people who participate in corruption make no attempt to hide their activities, either believing that what they are doing is perfectly acceptable or expecting that no one will be watching. In most cases, however, participants will attempt to cover their tracks, both by making payoffs secretly and by attempting to provide a legitimate cover for their decisions. Where this is true, uncovering corruption problems can be difficult. Existing nvestigative bodies, such as the police and the prosecutors' offices, are the obvious starting point because they can use surveillance techniques, subpoena powers, and the like, and can grant immunity to uncover evidence of specific crimes. Elected officials and agency heads who have daily contact with first-line supervisors or middle-level management are likely to have a fairly good idea of where the soft spots are, although they may be protected from below from any knowledge of specific corrupt acts or practices. Those who deal with local government from the outside - lawyers representing developers, contractors seeking building permits, salesmen seeking orders, or companies seeking contracts -will have certain knowledge of specific acts of corruption. Some will have little interest in exposing the acts that they profit from while others will be eager to see an immediate end to corruption (although they may be reluctant to aid in a suppression effort that entails personal risk). Newspaper, wire service, and television reporters may have more knowledge of corrupt acts than is revealed in their news reports, but may be reluctant to reveal it for fear of cutting themselves off from sources of other news. Outside of specifically chartered investigative bodies, the least reluctant sources of information about acts of corruption are official records.
" The desire to be respected by the public, so that being a politician or civil servant can be considered an honorable career, and election, appointment, or employment in government can be considered evidence of high personal standards of conduct. (They display:)• Recognition that corruption has a high social as well as monetary cost, and that even though the public may not seem to care in situations where corruption exists, and may continue to vote··in administrations that are either dirty or too stupid to be believed, the social cost is still being paid. When corruption and the costs of corruption finally become unacceptable, the result is likely to be personal as well as civic peril.• The awareness that there are standards of ethical conduct that can be agreed on, and principles of ethical action that can be applied, so that an employee or official can have confidence that he/she is acting ethically and need not be at the mercy of a superior’s whim or an investigative reporter’s slow news day. The most important ingredient of a (government leadership) management environment that is hostile to corruption is a strong and principled leadership. Without that, formalized guidelines for ethical behavior will be of little use. The next ingredient is credibility, which rests not only on sending clear messages that reinforce one another but also on keeping it all open and public"
Bottom line: Is this present in Escambia County? The articles in the PNJ tell the story….NO!